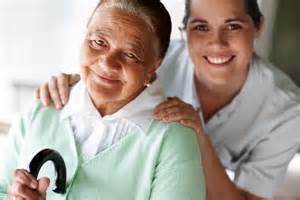 Home Health Care Policies- The Centers for Medicare & Medicaid Services today issued 2014 quality and financial performance results showing that Medicare Accountable Care Organizations (ACOs) continue to improve the quality of care for Medicare beneficiaries, while generating financial savings. As the number of Medicare beneficiaries served by ACOs continues to grow, these results suggest that ACOs are delivering higher quality care to more and more Medicare beneficiaries each year. ACOs are one way that the administration is working to provide Medicare beneficiaries with high-quality, person-centered care. Medicare ACOs are groups of doctors, hospitals, and other health care providers who voluntarily come together to provide coordinated care, with the goal of giving Medicare beneficiaries – especially the chronically ill – the right care at the right time, while avoiding unnecessary duplication of services and preventing medical errors. The results shared today demonstrate significant improvements in the quality of care ACOs are offering to Medicare beneficiaries. ACOs are judged on their performance on an array of meaningful metrics that assess the care they provide – including how highly patients rated their doctor, how well clinicians communicated, whether they screened for high blood pressure and tobacco use and cessation, and their use of Electronic Health Records. In the third performance year, Pioneer ACOs showed improvements in 28 of 33 quality measures and experienced average improvements of 3.6% across all quality measures. Shared Savings Program ACOs that reported quality measures in 2013 and 2014 improved on 27 of 33 quality measures. When an ACO demonstrates that it has achieved high-quality care and effectively reducing spending of health care dollars above specified thresholds, it is able to share in the savings generated for Medicare. In 2014, 20 Pioneer and 333 Shared Savings Program ACOs generated more than $411 million in savings, which includes all ACOs savings and losses. Today’s results show that ACOs with more experience in the program tend to perform better over time. Of the 333 Shared Savings Program ACOs, 119 are in their first performance year in Track 1, which involves standing up the program without the financial risk associated with later tracks. Please see accompanying fact sheet for more details about percentages of ACOs that share in savings over time. The number of beneficiaries served by ACOs is likely to continue to grow. Since the advent of the programs, the number of Medicare beneficiaries served by ACOs has consistently grown from year to year, and early indications suggest the number may grow again next year. The Shared Savings Program continues to receive strong interest from both new applicants seeking to join the program as well as from existing ACOs seeking to continue in the program for a second agreement period starting in 2016. Since passage of the Affordable Care Act, more than 420 Medicare ACOs have been established, serving more than 7.8 million Americans with Original Medicare as of January 1, 2015. The Affordable Care Act takes important steps toward a more accessible, affordable, and higher-quality health care system. Today’s announcement is part of a broader effort to seize on this historic moment and transform our health care system into one that works better for the American people. We have a vision of a system that delivers better care, spends our dollars in a smarter way, and puts patients in the center of their care to keep them healthy. For more detailed quality and financial results, click here.